Undergraduate Travel Awards provide a $500 scholarship to KU students who wish to travel to professional conferences in order to present their research. Funds are dispersed until depleted, beginning with the academic year. Applications are reviewed on a rolling basis around the 15th of each month, with notification of results by the end of that month. Awards are offered every semester and awarded each month. Requirements: be a full-time, enrolled undergraduate student in good academic standing (at time of application and at time of travel). Students may only receive one travel award per academic year. Apply: as soon as possible! Funds will be dispersed (beginning August) until depleted. This is an opportunity to develop interests and prepare for a career, advanced study, and leadership roles in today's complex international arena. Each Global Scholar receives a scholarship ($1,000 toward a KU-approved Study Abroad program), is connected with a faculty mentor for academic and professional development, and enrolls in an interdisciplinary seminar with fellow scholars. Requirements: applicants should be outstanding students who are beginning their second year at KU. Global Scholars are chosen based on an application and interview. Students with a 3.75 cumulative GPA are invited to apply. Students with a strong record but a slightly lower GPA may also submit an application. For more info, contact Michelle Ward at 785-864-7178 or mmward@ku.edu. * Note: The University Scholars Program is a sibling program to the Global Scholars Program; students may apply for only one of the two programs. Every year, 20 outstanding second-year students from a variety of disciplines are selected to become the new generation of University Scholars. Each University Scholar receives a scholarship ($250/semester for 5 semesters), is connected with a faculty mentor, and enrolls in an interdisciplinary seminar taught by a faculty member noted for a distinguished teaching record. Requirements: students in their second year at KU with a 3.75 cumulative GPA are invited to apply at the beginning of the fall semester. University Scholars are selected on the basis of academic credentials, commitment to their education, intellectual promise, and evaluations by instructors, advisers, and other faculty members. Contact program director Dr. Anne Wallen at annewallen@ku.edu. * Note: The Global Scholars Program is a sibling program to the University Scholars Program; students may apply for only one of the two programs. EuroScholars is a prestigious semester-long study abroad program designed for talented and highly-motivated undergraduate students looking to participate in international research. Participants identify an on-going project and join a research team at one of the 9 renowned European research universities that make up the EuroScholars Consortium. Students work with their home and host universities to develop a learning agreement for their time abroad, which gives each student the opportunity to create a program that is tailored to their unique experience, interests, and degree requirements. Scholarships of up to $5,000 are available through the KU Office of Study Abroad for students participating in semester-length study abroad programs. In addition, the KU Honors Program and the Center for Undergraduate Research, offer additional funding opportunities for study and research abroad. A 3.4 GPA is required to participate in the EuroScholars program. UGRAs are $1,000 scholarships provided to undergraduate students pursuing original research, scholarship, or creative work under the general guidance of a member of the faculty or other approved mentor. Each UGRA proposal must be sponsored by a KU affiliated faculty member or approved mentor who has read and approved the proposal and who agrees to oversee the conduct and completion of the project. UGRAs are awarded to students conducting semester-long independent projects that constitute work that is original and substantive given the standards and objectives of the field. (The UGRAs are not intended, for example, to support trips to workshops or the like; something new has to be discovered or created). Aside from recognizing student accomplishments, the UGRA competition provides an incentive for students to practice writing about their work and to take a deeper look at the literature of their field. Students in any major can apply. Requirements: be a degree-seeking undergraduate student when you receive the award. Students must be enrolled full-time during the award period. Exceptions to this rule can be made, e.g., when the applicant is studying abroad during the semester or only needs a few more credits to graduate. Contact the Center for Undergraduate Research at cur@ku.edu for more info. Critical Language Scholarships cover all costs of attending Intensive Summer Institutes through the United States Department of State. Languages offered include: Arabic, Azerbaijani, Bangla/Bengali, Chinese, Hindi, Indonesian, Japanese, Korean, Persian, Punjabi, Russian, Turkish, and Urdu. Students in all fields are eligible to apply after two semesters of college; additional criteria depend on the language being studied. 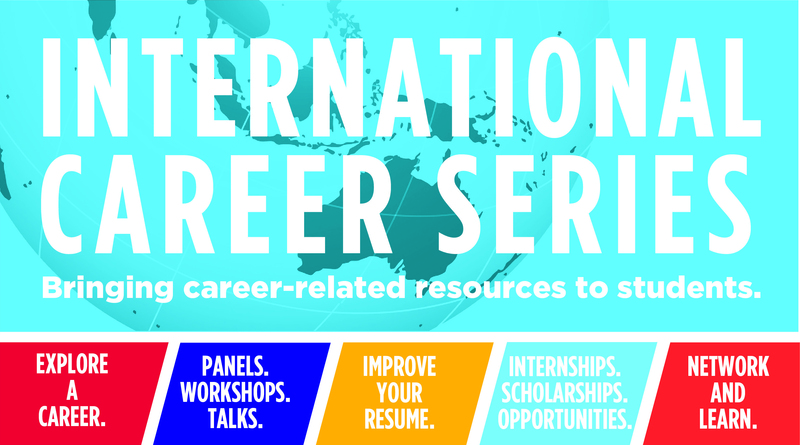 The Center for Global & International Studies partners with KU’s Office of Fellowships & Scholarships to offer info sessions and writing workshops to help students apply for CLS. For Chinese, Japanese, Korean, Uyghur, Tibetan, Amharic, Arabic, Hausa, KiSwahili, Somali, Wolof, and other African languages on demand. FLAS funds are awarded in a competitive process to KU advanced undergraduate and graduate students to pursue language and area studies for professional purposes. Students receive FLAS awards for study during the academic year or summer, including study abroad. Awards cover tuition and stipend, ranging up to $7,500-15,000. KU’s FLAS fellowships are awarded by the Center for East Asian Studies and Kansas African Studies Center. For details, go to a FLAS info session. This program provides opportunities for KU undergraduates who have strong academic credentials and have demonstrated significant activity within KU to interact with well-known authors, scholars, and public intellectuals.